In this throwaway society small household electricals and domestic appliances, tools and toys to name a few, have become items that are expected to last for a year or two at best before heading straight to landfill. 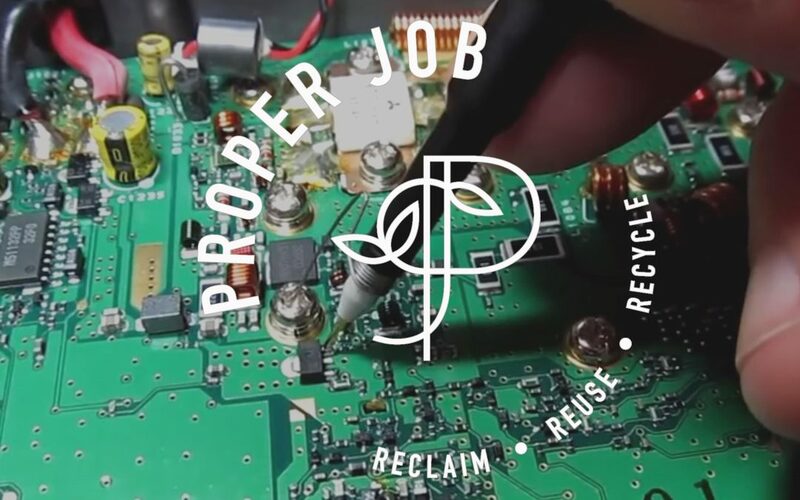 Proper Job are collaborating with Merlin Howes from Moreton Creative to host an Electrical ‘Repair Workshop. Come along and learn some hands on skills such as repair, mechanics and electronics and hopefully gain a repaired item! Participants can bring along 1-2 electrical items such as tools, toys and domestic appliances, and together with skilled staff and volunteers attempt to repair the item, using reclaimed parts wherever possible. Please don’t bring any very large items as space is limited and the workshop will take place on the first floor. The workshop will run from 11am-1pm on Saturday 17th November at Moreton Creative, 1st Floor Bowring Library, 2 Fore Street Moretonhampstead, TQ13 8LL. The session costs £5 + booking fee and is suitable for ages 9-90, but children under the age of 18 must be accompanied by an adult please. We will be scheduling a follow up workshop in the New Year and hope to run this as a regular recurring session. To stay updated on upcoming workshops visit the Proper Job website www.proper-job.org and subscribe to our newsletter.